“O CHRISTMAS TREE” Holiday Luncheon Gather your friends and neighbors to celebrate this beautiful Holiday Season. Enjoy a delicious lunch of turkey and trimmings while being entertained with familiar Christmas songs. Cost is $20.00 for members and $25 for guests. 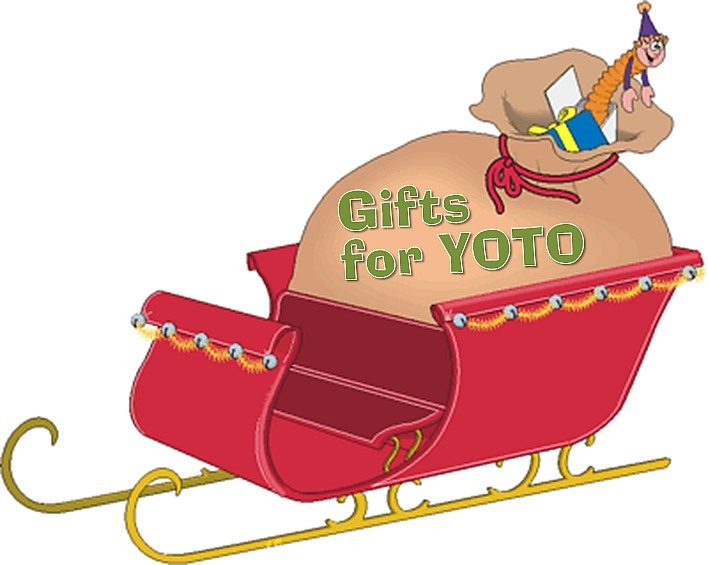 Be sure to bring your Christmas Gift Bag for a YOTO student to help fill the sleigh and make their holiday a bit brighter! In accordance with the new TWOQC By-laws adopted on October 31, 2016, four positions are to be filled during elections at our December luncheon. Election for all positions will take place by ballot vote at the December luncheon on Monday, December 12, 2016 at Noon. The photo book is such an awesome tool to recognize your fellow members. Come photo-ready to the December luncheon and your head-shot will be added to the member photo book of paid members for 2017. To view the photo book just click on this link: «Photo Book featuring 174 members». Nov. 25 (10:13am) UPDATE: In solving the previous mystery woman photo this morning, we now have another with no name. 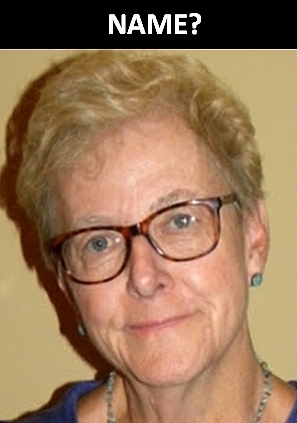 If you are this person or know her name, please contact: «webmaster@womenqc.com». The choice of gift(s) is yours. These are only suggestions. Please let us know if you would like to leave a gift bag but won’t be able to attend the luncheon. 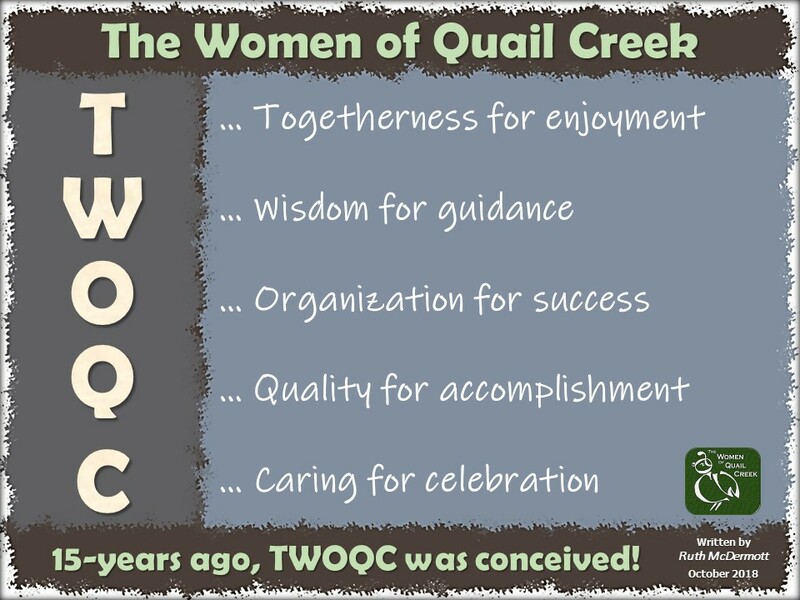 You can pick up a card – or an extra if you are feeling particularly festive – from the TWOQC box at 2276 E. Skywalker Way (Diane Quinn’s house) «map» or contact «yoto@womenqc.com». After the Quail Creek community garage sale, more donations poured in from our members for the VA Homeless Program. A carload of donated items were delivered to the VA the following week. 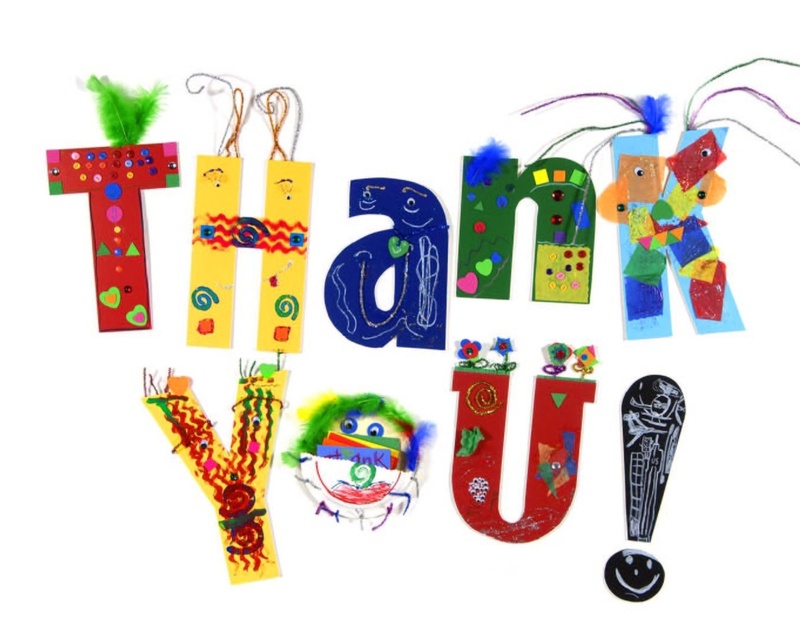 A big thank you to Ginny Hutcheson, Chris Tyler and Pam Butler for their generous donations from their respective garage sales. And hugs to Laura Colbert for taking everything to the VA. Laura and Peggy McGee have both made additional trips to the VA delivering more items for both the homeless and hospitalized veterans. 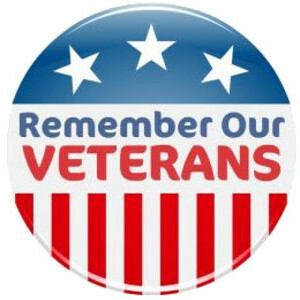 As you prepare for the holidays, please consider the veterans who are hospitalized long-term at the Tucson VA hospital. Some of these patients actually stay in the hospital while others are seen on an outpatient basis after their initial hospitalization. Some items on their “wish list” include: baseball and knitted hats, gloves, scarfs, back scratchers, watches, book lights, audio books on CD, AM/FM radios or CD players with headset, puzzle books (including large print), playing cards, and hand held electronic games, shoe laces, sunglasses, deodorant, gloves, nail clippers and water bottles. If you would like to contribute please place them on the table at the back of the ballroom on December 12. We received a thank you from the VA for all our efforts for the clothing drive on October 15: «Thank You Note». 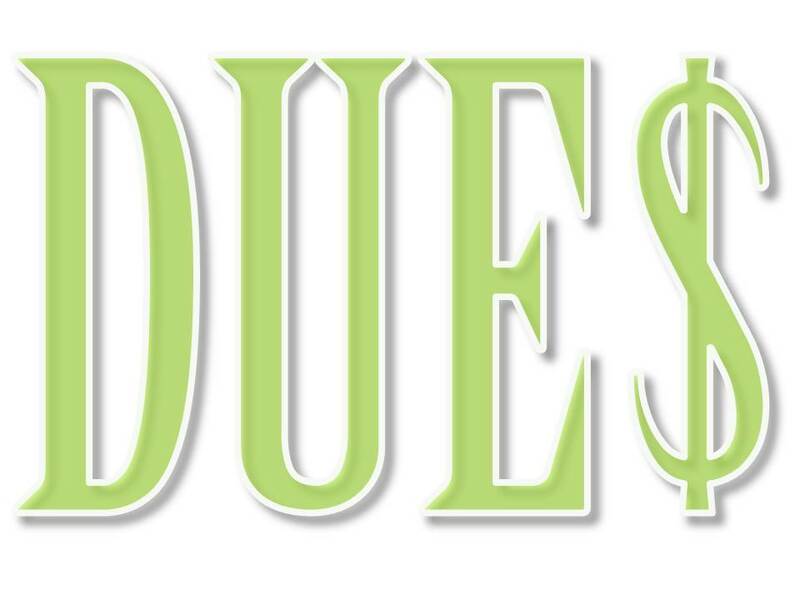 If you completed a donation form and have not yet received an acknowledgement from the VA, please contact Peggy at «pastpresident@womenqc.com» and she will follow-up with the VA.